When you hear the words "Trench Coat", what is it that you think of? Do you think of Spring and Summer and those dreary rain showers? Do you think of layering the iconic classic amongst your pastel infused wardrobe? I sure do. We can pretend that our summers will be filled with open fires, water fights and long evenings basking in the warmth but let's be real. This is the UK, where nice weather comes and goes as it so pleases. What is it that you need, besides an umbrella, when this so called nice weather passes and the clouds have returned to their usual shades of grey? A good coat - a trench coat, to be specific. The classic trench dates back centuries, right before even your grandparents were born, but it's a trend that never goes away as we all long for the beige coloured staple in our wardrobe at least once in our life. You could go designer when you come to purchase your trench coat, thinking of the likes of Burberry where they were first introduced, or if you're like me and want something a little lot more affordable, you're going to be heading straight to the high street. Jack Wills are known for that iconic British, preppy style and are a brand to never shy away from incorporating the upcoming trends into their collections, even when it comes to Spring outerwear. JW's Duncombe Trench is your day to day trench coat shape, the one that springs to mind when you think of the definitive piece. Ideal for those who have a penchant for vintage fashion or even so, are a little more style conscious. With a simple yet elegant tie around the waist to give you the classic trench shape, it compliments the long line length of the coat, making it suitable for any body type. Or, if you're like me, you'll want to incoporate as much pastel into your wardrobe as you can get this season. Move over Topshop raincoats, these next few are the ones to lust over. Does the Dollyhill Swing Trench not just scream Instagram photos amongst a dull and rainy setting? The eye catching lining of the coat is perfect for those who enjoy a bit of pattern in their life, not to mention the adorable bow detailing upon the sleeves. Talk about adding a modern twist onto a dated piece, Jack Wills have got this one in the bag. But the one important query that's always on my mind, how do you style a trench coat? Well, that's simple... In the rainy months, the trench has the ability to be dressed down. Pairing it with your smartest skinny jeans, combined with the cutest mules you own and you're ready to go. On the other hand, the long line trench can be used to layer over those gorgeous floaty summer dresses I'm seeing everywhere. I'm talking embroidered smock, floral swing... You know it. If neither of those ideas are taking your fancy however, Jack Wills put together a handy little guide, including lots of dreamy style inspo, on How To Style A Trench Coat. Make sure to have a read! 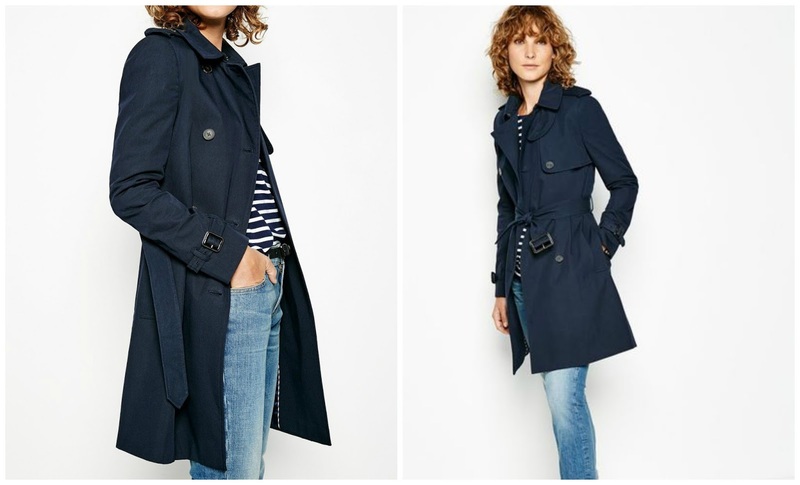 What are your thoughts on the timeless Trench? bloglovin • twitter • instagram • pinterest *This post is sponsored by Jack Wills, all opinions are my own. Kat I need that pink pastel one. Immediately. These are beaut, all of them, and I'd never have thought of Jack Wills as a go-to for a trench coat. I dream of Burberry, but at the rate I spend my money (I'm sooo bad) that's not gonna happen any time soon. I've got a lovely Topshop one at the moment, but when it needs up grading I'll definitely have a nosey around Jack Wills!